Thank you to Beth of Life in the Past Lane for nominating me for a Liebster award! 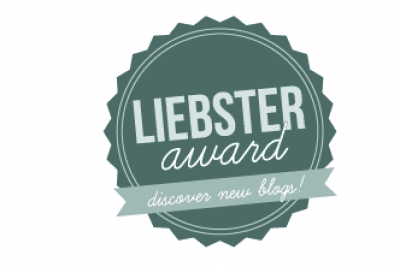 The Liebster award is a pay-it-forward award given from up and coming bloggers with under 200 followers to their favorite fellow up and coming bloggers. 1. What motivated you to start your blog and how long have you been blogging? 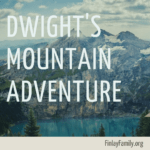 I have actually been blogging since 2002 at finlayfamily.org. However, the site started out as a simple family journal of sorts to share photos and events with our out-of-state extended family. Over the years, much of our extended family moved near us, and the need for that type of blog really disappeared. So, during the summer of 2014, I reinvented our site into a family history blog. 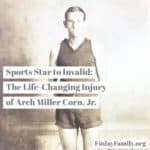 My website always had a page with my family tree on it; I thought a blog to share the stories I shake out of my tree would compliment it well. My other passion, aside from family history, is gardening (edible and ornamental). I moved my garden blogging to its own domain at homegrownhabitat.com at the same time. 2. Where do you get the ideas for your blog posts? I have so many more blog post ideas than I have time to write! Every ancestor I have ever studied has an interesting tale to tell. My grandmother told me many stories that I have yet to share publicly. Some stories I have uncovered through documents, records, photos and newspaper stories. (I LOVE finding newspaper articles about my ancestors. I have learned AMAZING stories through newspapers.) Whether the stories are tragic, heroic, or touching, I love to learn them and share them; stories make our ancestors live again in our memory. 3. Do you ever get “writer’s block,” and, if so, how do you deal with it? My “writer’s block” comes in the form of my seven wonderfully busy children, who have higher priority than my writing. I deal with it by getting up earlier than them every morning and racing to see how much I can get done before they need me. I occassionally find time to write in the afternoon, if all the chores are done and everyone settles down for some quiet time at the same time. 4. What is the best advice you can give your fellow bloggers, especially new ones? I would simply say be authentic. Don’t worry about matching the style of any other blogger. Use your own voice and share those stories from your family tree, or the joys and beauty of gardening, or whatever it is that you have to say. 5. How do you network with other bloggers? I am not a good networker. I do follow many blogs, but I am not good at commenting or networking. I have not participated in any blogging challenges, either, since I cannot reliably commit to a blogging schedule. I do enjoy being a part of several Facebook groups such as The NextGen Genealogy Network, and Evernote Genealogists. 6. What is the best feedback you have ever gotten on a blog post? 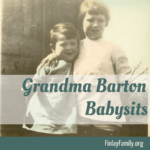 I simply love when an extended family member, or distant cousin comes to the blog and reads a story and exclaims, “I never knew that about Great-Aunt-So-and-So!” That is why I write, to share and preserve these stories! 7. What kind of writing experience did you have prior to starting your own blog? I have a BA in Family History-Genealogy, which I wrote many extensive papers to earn. I also worked for a professor at the university, helping him to edit his publications. That being said, I spend a minimal amount of time editing my blog posts. Since my writing time is so limited, I would rather publish an imperfect post, than never publish it while waiting for time to polish the piece. 8. What is one goal you have for your blog in the next 12 months? I would like to publish more frequently this coming year. 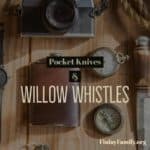 I have set a goal for 3-4 family history posts and 2 garden posts per month. 9. What is your favorite blog? This is a trick question for me! I follow blogs for so many different topics, and many of them are so helpful to me! For genealogy: Genealogy’s Star James Tanner has multiple blogs and is a prolific writer. I find many of his posts informative. 10. Who is the one person (not related by blood or marriage) that has influenced you the most. This is another trick question for me. I have moved a lot in my life, and have had opportunity to make new friends dozens of times. While I have never had a great mentor, I have learned something great from nearly every friend I’ve ever made. Now for my nominations for The Liebster Award. 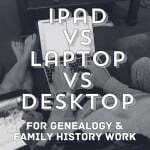 I would like to nominate three fellow genealogy bloggers who share their family stories as well. Gary shares his stories at Backtracking the Common. He focuses on the Roberts, Ingram, Byrd, and Burns surnames. Cheri shares her stories at Carolina Girl Genealogy. She shares stories from her Southern roots. Susan shares her stories at Genea-addict. Her emphasis is on her English and Irish roots. 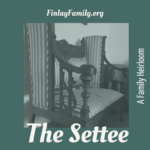 If they choose to accept my nomination, I challenge them to answer these questions on their blog and to nominate three other blogs (genealogy related or otherwise) for a Liebster award.